Jack’s Wife Freda is the name of a restaurant in SoHo, NYC. Jack and Freda are the names of the grandparents of South African Jewish owner Dean Jankelowitz (co-owner is Dean’s wife Maya). Jack’s Wife Freda is a small, cozy restaurant that does not take reservations (except for parties of 6 or more), so any time you go, there is bound to be a wait. We waited 15 – 20 minutes before we got a table for brunch on a weekend. 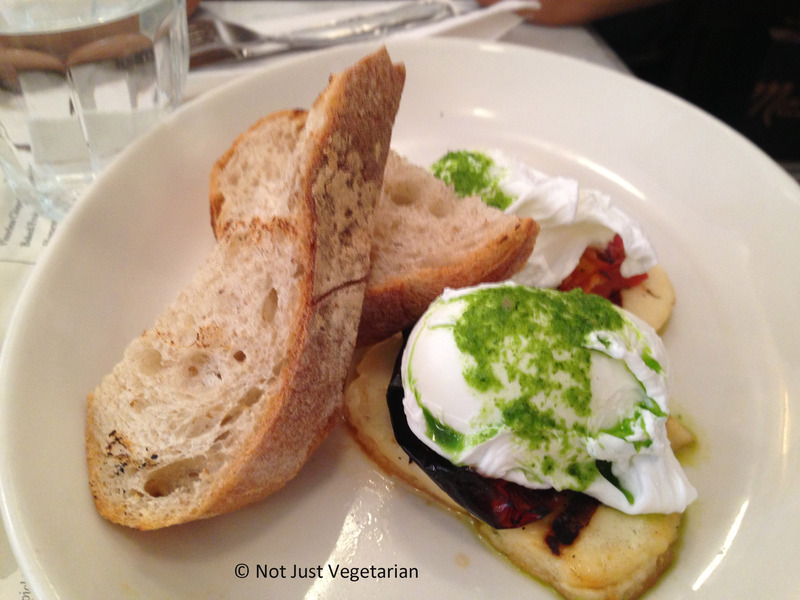 There were some standard egg dishes served over brunch, although the dishes had a Middle Eastern / Israeli influence. 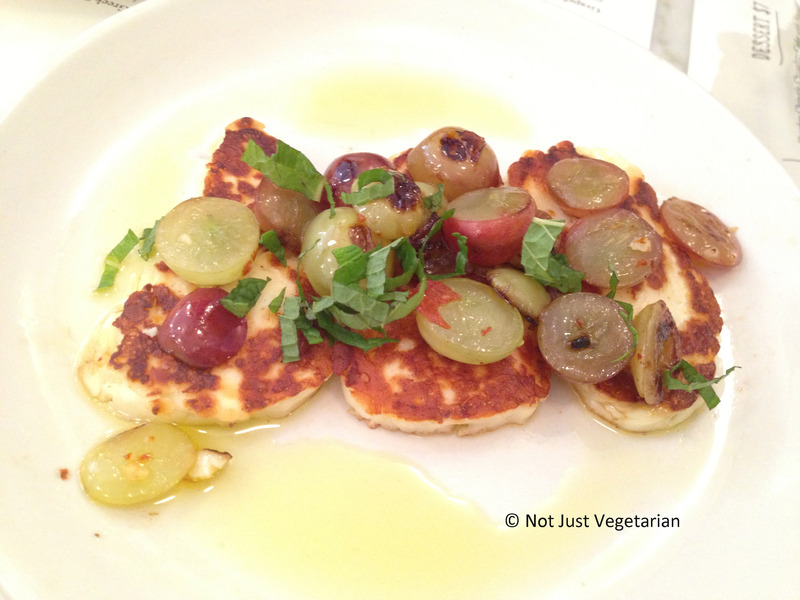 Grilled haloumi – The grilled haloumi was served with grapes and honey and was out of this world! A wonderful combination of savory haloumi (cheese) with sweet grapes and honey. So easy to prepare (or so I think) and yet so delicious!! I would get this again if I go back to Jack’s Wife Freda. 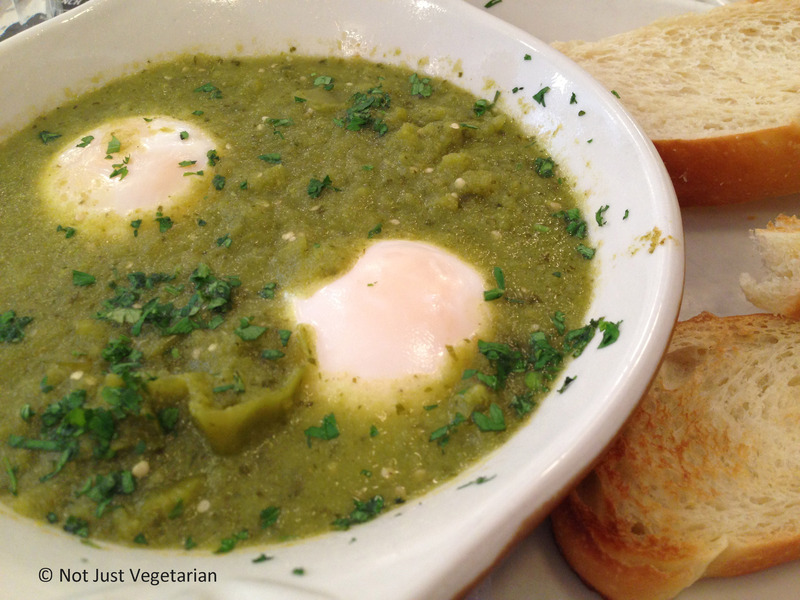 The green shakshuka with toasted challah was a notch lower on taste relative to other dishes that we tried. The sauce was made from green tomatoes or perhaps from tomatillos, but felt too spicy and dilute. This felt like a very small dish and was not filling at all. Wish they had given more challah bread so I could have mopped up the sauce! 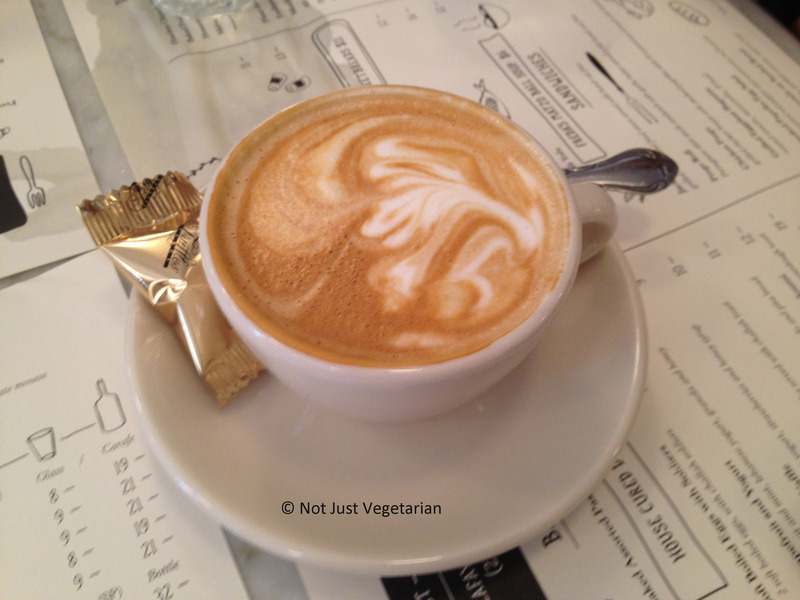 Overall, we had a good brunch and the service was courteous, so I am keen to go back to Jack’s Wife Freda to check out their lunch and dinner menus….